A brigand named Deli Bash collected about 500 deserters around him. During the night of the 2 nd October he attacked Tshumra by surprise, and on the morning of the 3 rd he occupied Konia and seized the administration. Haidar Bey, Governor of Konia, and Major Avni Bey (now Avni Pasha, a deputy) defended themselves heroically against the insur gents on the Alaheddin hill with a small number of soldiers and gen darmes who were in the town. Their conduct on this occasion deserves to be specially mentioned; but as they could not resist the superior forces and the attacks which came from every direction, they fell into the hands of the rebels. During the same day the rebels in the districts of Bey Shehr and Ak Shehr prevented our military deputations who were travelling in this part of the country on official business from carrying out their duty. Nearly 300 rebels who had assembled near the village of Tahekil, in the Ilgin district, opened fire on a party that was sent out to give them advice. South of Konia also, in the Karaman district, the rebels began to assemble. Sultanie fell into their hands. The troops that we sent from Kutachia and Afium Kara Hiassar to quell this revolutionary movement and which were under the com mand of Dervish Bey (now Dervish Pasha, commanding an Army Corps), came into touch with the rebels at the railway station of Meidan, north of Konia. The troops that we sent in addition from Angora under the command of Refet Bey, who was at that time Minister of the Interior and which consisted of a cavalry regiment and a field-gun joined Dervish Bey s troops which were advancing from the railway station at Meidan. Detachment s from the Adana front were also sent in the direction of Karaman. After some skirmishes on the 6 th October, the troops marching on Konia relieved that town. The rebels fleeing from Konia turned in the direction of Kotsh Hissar, Akseki, BosMr and Manawgat. Another party of rebels occupied Kadin Han and Ilgin between Afium Kara Hissar and Konia. Troops from the Western front were sent to this district under the command of Lt.-Colonel Osman Bey. Osman Bey s detachment moved with vigour against Ilgin, Kadin Han, Tshekil and Jalwadsh. Our troops coming from the south relieved Karaman. They had succeeded in punishing the insurgents in the rebellious districts and also drove them out of Boskir, Seidi Shehr and Bey Shehr. Some of the remaining rebels surrendered to our troops and others fled in the direction of Antalia and Mersina. Deli Bash went over to the French in the district of Mersina. When I spoke to you about the organisations of the “Green Army,” I told you that there were two opposite views about the question of organisation. Efforts were made to compromise the move ment by fostering the idea of a kind of organisation which we might call “Militia” in contradistinction to the idea of the formation of a regular Army which we faveured. 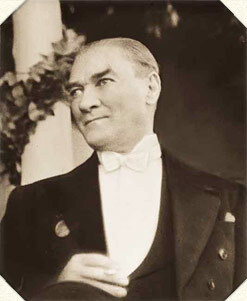 Edhem Bey s troops which, being national, occupied a zone to itself and formed a special front among the Western lines of defence, began to be regarded as possessing special privileges and as being employed in preference to the regular forces, that is to say, as troops of which the others were jealous. Edhem Bey and his brothers began to exert a certain amount of influence and predo minance everywhere. This officer pointed out that the enemy s forces were distributed along a wide front and that those in the district of Godos were isolated and weak. He also imagined that the moral condition of the enemy s forces was bad.